SERENA Williams rarely makes mistakes on the tennis court but when it comes to babies, not everything is done with the same attention to detail. The 35-year-old revealed she was pregnant last week when she shared a photo on social media platform Snapchat showing off her baby bump at 20 weeks. The world was stunned because the timeline meant she won the Australian Open final in January while pregnant. However, Williams has explained the truth behind her announcement, telling everyone “it was an accident”. “Well actually it was an accident. I was on vacation just taking some time for myself. I have this thing where I’ve been checking my status and taking pictures every week to see how far along I’m going,” she said during her TED Talk on Tuesday night in Vancouver. She was interviewed by Gayle King, who asked if Williams planned to share the photo with friends maybe. “No, I’ve just been saving it,” Williams said. “I didn’t really tell a lot of people to be quite honest. And I’ve been saving it. “You know how social media is, you press the wrong button and …” Williams smiled. Thirty minutes after the post went up, she had four missed calls. Williams deleted the post, which left the world to wonder what exactly it meant. Turns out the winner of 23 Grand Slam singles titles will become a mom later this year. She said there’s no question she’ll be back on the tennis court after the baby is born. 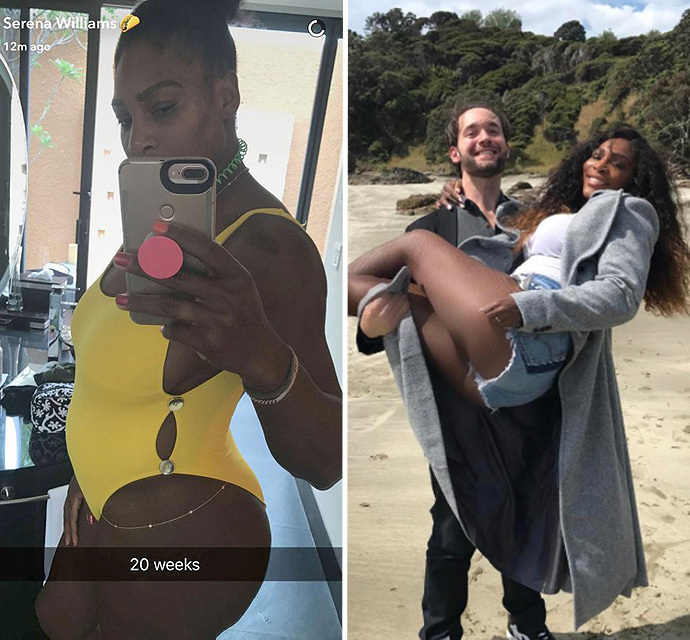 Williams, who is engaged to Reddit co-founder Alexis Ohanian, learned that she was pregnant two days before the start of the Australian Open in January. “I was nervous. I wasn’t quite sure what to think, but I just knew at that moment it was really important for me to just focus right there at the Australian Open,” she said. At the first major of the year, Williams would go on to beat her older sister Venus in the final 6-4, 6-4. Williams said fortunately she hasn’t suffered from morning sickness.